Nowadays, new technologies cannot help but surprise us in every given way. Innovation after innovation, they keep finding new apps and gadgets to make our lives as simple and practical as possible. Constantly redesigned, it becomes hard to keep up with the latest trends. From the indispensable cell phone, to the modernizing electrical cars, to computers that have become as light and thin as a stack of paper… The future is today! We live in an era of constant discovery and increasing modernity, and all these rising possibilities directly affect scuba diving and its multiple pieces of equipment essential for safe, enjoyable dives. Scuba diving only truly started in the 1940s, when Jacques Cousteau and Émile Gagnan invented the very first prototype for an aqualung freestanding breathing apparel. This invention revolutionized the accessibility of water, enabling underwater breathing which at the time was nothing but a science-fiction dream. The exploration of the underwater world began, the first step into a fascinating and wondrous new world just below the surface. 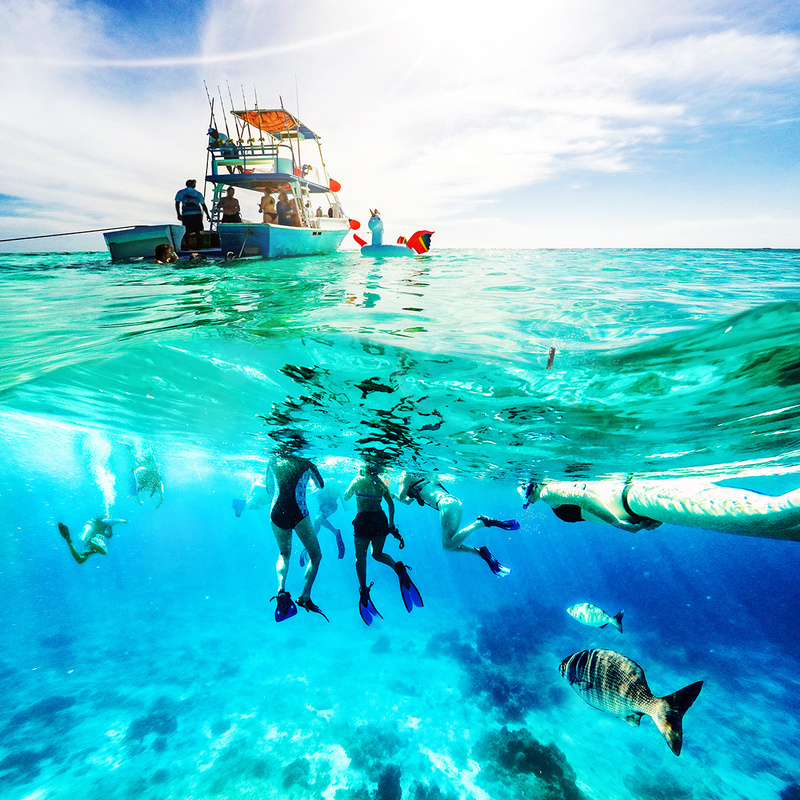 In fact, scuba diving became increasingly popular in the following decade, everyone wanted to try being a fish under the water. Of course, the equipment was rather rudimentary at the time, since then multiple pieces of equipment have been invented to facilitate and make safer the activity, for example BCDs have been invented to control buoyancy. The regulator and accompanying octopus evolved throughout the years to become the model found today: a first stage connecting regulator, pressure hoses and gauges. Drysuits were conceived to allow diving in colder bodies of water, by keeping the diver dry and insulated, which is particularly useful here in Quebec where the thermostat does not surpass 0°C. The very first divers probably had no idea scuba diving would become so accessible and modern in just a few years, allowing for effortless dives wholly focused on the surrounding life and structures. Scuba diving computers are still relatively recent in their creation and innovation, yet have become an essential item for divers to keep track of dive informations and provide an automatic dive planner, reducing calculation errors. Although the latter is not very complicated in use, it still requires the diver to calculate manually his allotted dive time and surface interval to reduce the risk of nitrogen poisoning and stay within the non-decompression limit. Dive computers are able to make all these calculations electronically, with more accuracy as it records information from the initial entry into the water to the exit, taking every depth fluctuation into account. 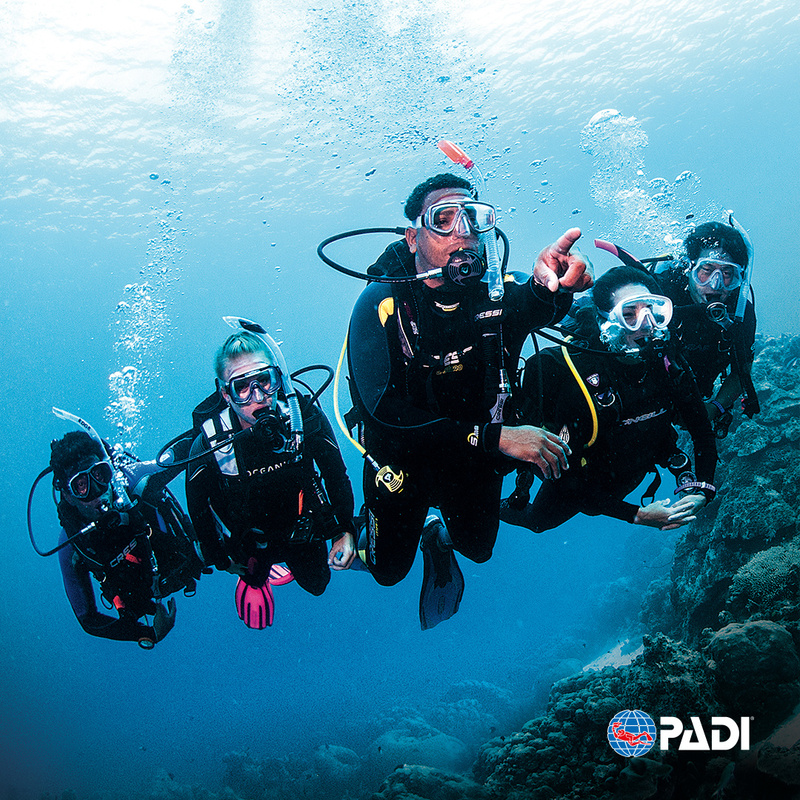 Designed to be user friendly, the newer models present more and more qualities to enhance the diving experience. Some models connect directly to the regulator’s first stage through a transmitter enabling an accurate estimation of the residual air quantity of the diver’s own tank, or even his buddy’s. Compass functions are also part of the computer’s capabilities, some models include it directly in the reading interface for easy read and navigation. Multiple models are small and compact, the size of a watch, with an impressive design aimed for casual wear day by day, while others are in console format that can be directly linked to the first stage with a hose. Technological advancement have had significant benefits for dive computers which, originally, were very limited in their functions such as restricted to depth and danger levels of the barometer… The first modern computers resemble the ones of today, but were much more bulky and heavy. One of these older models, the Aladin Pro de UWATEC, had an integrated battery permeabilized with oil, which made battery changes particularly difficult. Thankfully, nowadays changing batteries has become extremely simple and independent. In fact, some computers even use basic AA batteries to function, which are interchangeable in a few seconds. And example of this is the Perdix de Shearwater. Computer screens are easily readable with new backlighting abilities and colored text, such as the Aqualung i770R, the Ion Core by Suunto and the Shearwater Teric to name a few. Today, even the most standard dive computers offer the option for the four modes of diving: Air, Nitrox, Gauge, and Apnea. What allows dive computers to determine a non decompression time are complex algorithms. This is more secure and has less room for error as manually doing the calculations with a recreational dive table. Basically, the algorithm takes into account the time spent underwater and the amount of nitrogen absorbed in the blood, to give you an estimated safe time. Not all computers use the same algorithm, some use Bülhmann while others use RGBM. Dive computers are conceived in a way to be as easy to use and as efficient as possible. The multiple buttons make navigation through the computer’s options quick and easy, this way, editing the dive settings takes no time! But what truly revolutionized dive computers is bluetooth: the ability to connect the dive computer to a cell phone or normal computer to directly edit the settings with a few easy maneuvers. The bluetooth system is very intuitive to use, it uses an application that can be download onto your device. An example of this is Aqualung which offers the app Diver Log+. Other companies offer similar apps, but Aqualung was the original creator and is the certificate holder. 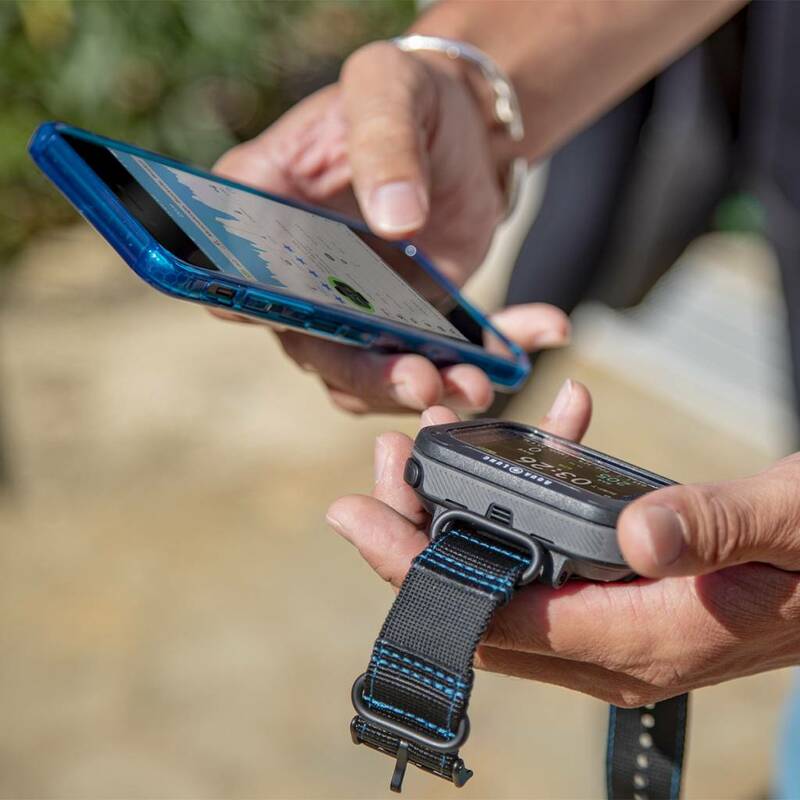 Information is easily transferred from the dive computer to the app, allowing for an easy and effortless virtual log book, plus as a bonus, no more need to carry around cables to connect the computer to other devices! Everyone can now make this easy connection and stay up to date with their dives. It is even possible to enter specific locations, with GPS coordinates, and make your buddy sign the dive. Scuba diving equipment has become more and more modern through the years with the numerous new technological advancements. The new scuba diving application connected to the dive computers has facilitated diving like never before, allowing for easy and effortless configuration of dive settings, and a detailed keep of dive logs. With these new modernized computers, divers can wholly focus on enjoying the dive, completely immersed in the underwater world, as the more difficult technological aspects of diving have been removed. Scuba diving has become accessible to all while becoming safer with every new technological development, thanks to the modern world we live in today.